We’ve learned from experience that traditional HR departments will need to play a truly strategic and critical role to sustain an Agile transformation, but what will that look like? How can HR enable business agility? How can you educate and engage your HR partners on this journey? How do traditional HR departments move to a modern People Team focused on developing and hiring the talent that fits their organizations’ business agility goals? Here you’ll find helpful insights, resources and learning opportunities to navigate this new way of working. 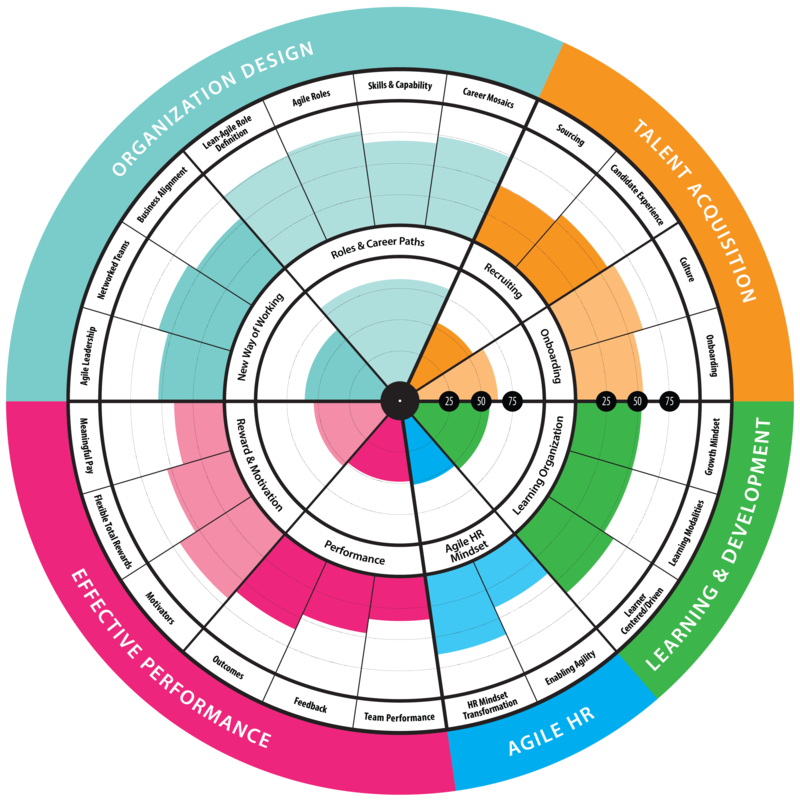 Visualize the full picture of the journey to an Agile HR by taking this brief assessment. See how you stack up against others to measure the health of your HR strategy and tactics to Agile and the new ways of working. This radar looks at the following key dimensions: Organization Design, Talent Acquisition, Enabling Effective Performance, Learning & Development, and Agile HR Mindset.